[ABOVE] A possible portrait of Monsieur Louis Bertin. This illustration appeared alongside a description of a visit to Monsieur Bertin's Kings Road studio in "The Book of Brighton - As it was and as it is " by Charles H. Ross (1882). [ABOVE] Louis Bertin recorded as a photographer at 88 King's Road, Brighton in Kelly's 1874 Directory of Sussex. Albert Boucher, a compatriot of Bertin's, is listed as a photographer at 23 Ship Street, Brighton. Louis Bertin operated a photographic portrait studio at 88 King's Road, Brighton from 1874 until 1886. Louis Bertin was born in France around 1827. 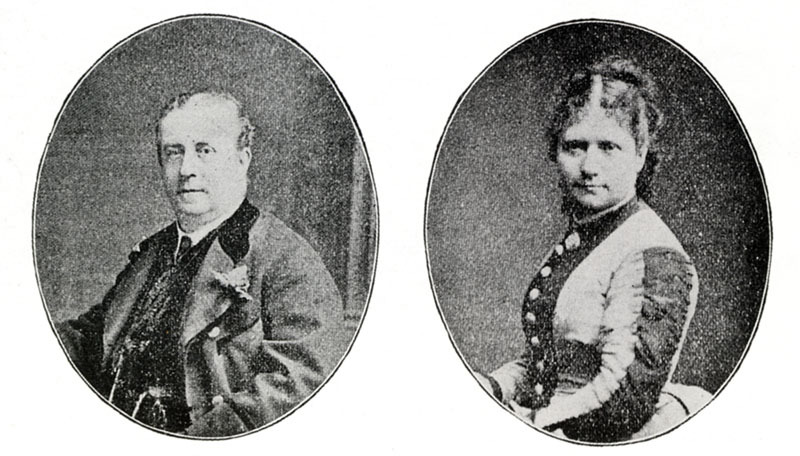 Louis Bertin arrived in England from France with his wife Eugenie (born c1832, France) and daughter Marie (born c1855, France) sometime between 1862 and 1871. At the time of the 1871 census, Louis Bertin was working as a photographer & tobacconist at 6 The Pavement, Clapham Common, Clapham, South London, Surrey. 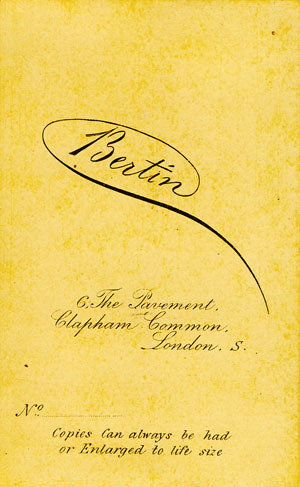 In 1872, Louis Bertin exhibited four photographs at the 17th Annual Exhibition of the Photographic Society of London. Two of the four exhibits were portraits, both of which were entitled "Portrait of a Lady". Louis Bertin became a Member of the (Royal) Photographic Society in December 1872. 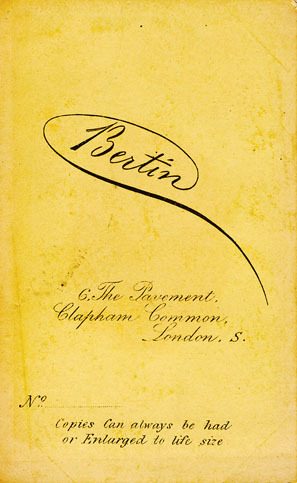 Bertin went on to exhibit three more portraits at the 19th Annual Exhibition the Photographic Society of Great Britain held at the Suffolk Street Gallery, Pall Mall, in October 1874. Around 1873, Louis Bertin entered into a business partnership with the photographer Edward Sims (born c1838, Swansea) and together they briefly ran a portrait studio in Tunbridge Wells under the name of Sims & Bertin. The partnership between Louis Bertin and Edward Sims was dissolved in May 1874. Shortly after leaving Edward Sims' studio in Tunbridge Wells, Louis Bertin moved to the seaside resort of Brighton, where he established a photographic portrait studio in King's Road. 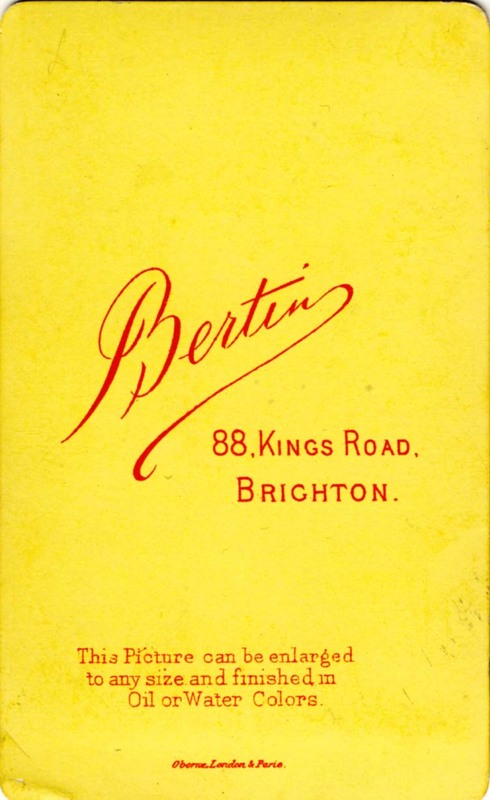 Bertin's studio at 88 Kings Road, Brighton, was located above a china shop, situated between two lodging houses on Brighton's seafront, near Kings Road's junction with Russell Street. Bertin's business premises was only three doors' away from John J. E. Mayall's long established photographic portrait studio at 91 King's Road and a short distance from the Grand Hotel at 99 King's Road, Brighton. 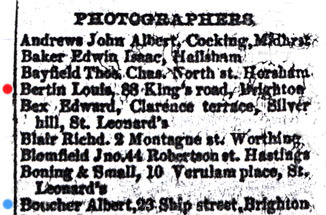 Louis Bertin is listed as a professional photographer at 88 Kings Road, Brighton, in the Trades section of Kelly's Post Office Directory of Sussex, published in 1874. When the census was taken on 3rd April 1881, Louis Bertin and his family were recorded at the living quarters attached to Bertin's photographic portrait studio at 88 Kings Road, Brighton. Louis Bertin is described on the census return as a fifty-three year old, French-born "Photographer". Residing with Monsieur Bertin at 88 Kings Road was his forty-eight year old wife Madame Eugenie Bertin, their twenty-five year old daughter Marie Bertin, who is described as an "Artist", and Margaret Thomson, a thirty-five year old servant from Ireland. 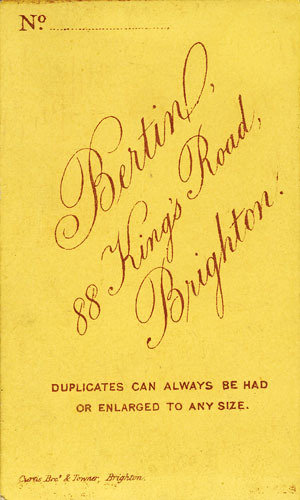 Monsieur Bertin operated as a portrait photographer at 88 Kings Road, Brighton for about twelve years. 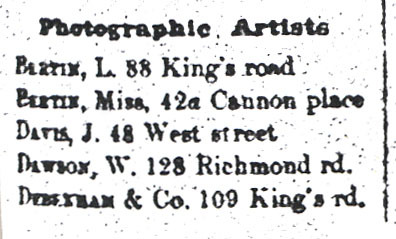 Louis Bertin is recorded as a "Photographic Artist" at 88 Kings Road for the last time in Page's 1886 Directory of Brighton. The last trade directory entry for Louis Bertin coincided with the first appearance of his daughter, Marie Bertin, in the list of Brighton photographers. 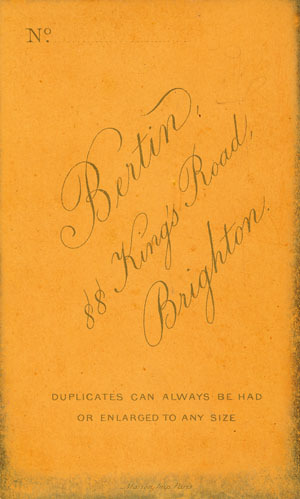 Miss Bertin is recorded as the proprietor of a photographic studio at 42a Cannon Place, Brighton, only hundreds of metres from her father's studio on the seafront. Louis Bertin disappears from British records after 1886. The year 1886 might mark the year of louis Bertin's death, his retirement from photography or his return to France. Louis Bertin's demise is not recorded in the death registrations compiled for the years between 1885 and 1920 and his name does not appear in the index of names for the census returns completed in 1891, 1901 or 1911. 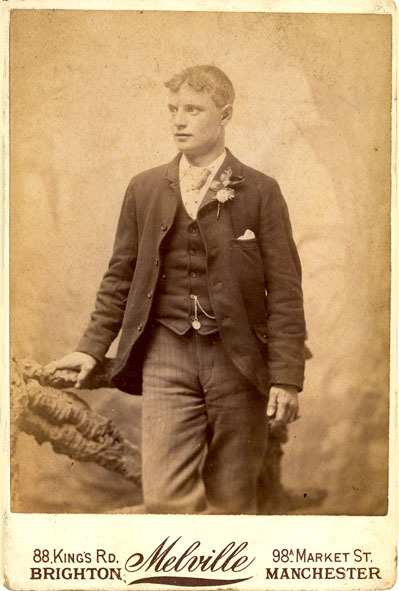 [ABOVE] A portrait of an unknown man, photographed by Louis Bertin of 88 King's Road, Brighton (c1876). 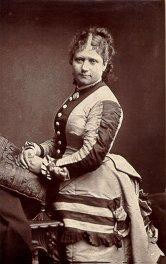 [ABOVE] A portrait of a lady photographed in 1876 by Louis Bertin of 88 King's Road, Brighton. Inscribed in ink on the reverse of the carte are the words "Henrietta ....(? ), June 1876, with love". 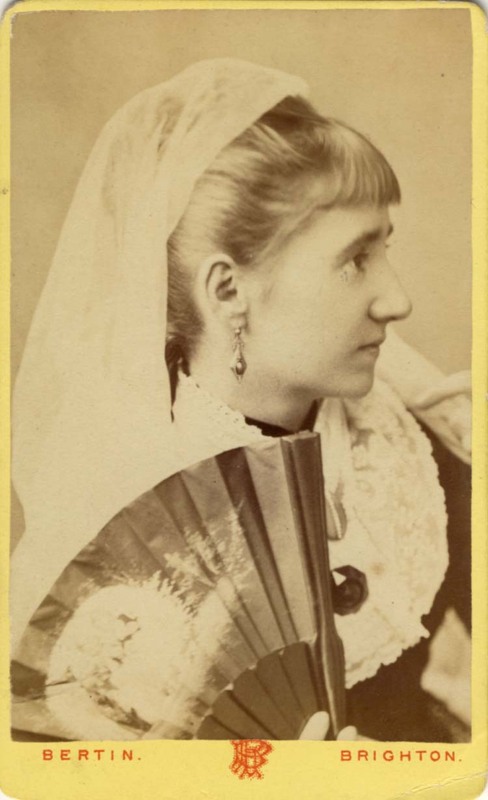 [ABOVE] A portrait of a young woman with a fan, photographed by Louis Bertin of 88 King's Road, Brighton (c1882). 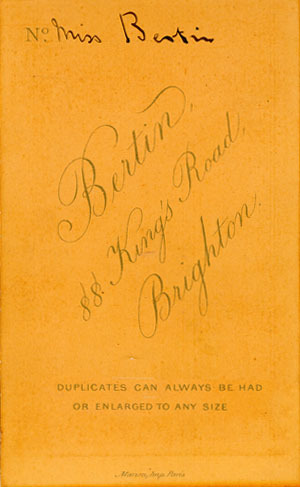 [ABOVE] The reverse of a carte-de-visite portrait showing the trade plate of Louis Bertin, 88 King's Road, Brighton (c1882). 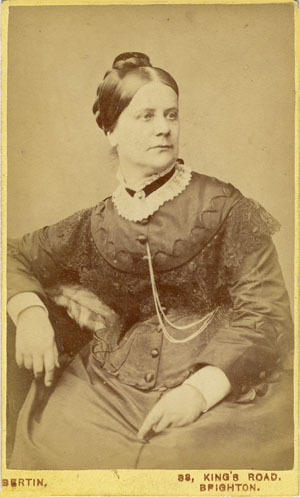 [ABOVE] A portrait of "Grandmother Welch", photographed by Louis Bertin of 88 King's Road, Brighton (c1882). [ABOVE] A carte-de-visite portrait of Millie and Christine McKoy by Louis Bertin of Brighton. [ABOVE] A portrait of the conjoined twins Millie and Christine McKoy, photographed by Louis Bertin of Brighton. [ABOVE] A portrait of Miss Millie Christine by Louis Bertin of Brighton. The McKoy twins were frequently referred to as a single person with the name Millie Christine or Millie-Christine. In fact, Millie and Christine were often billed as "The Two-Headed Nightingale" as if they were a single entity. 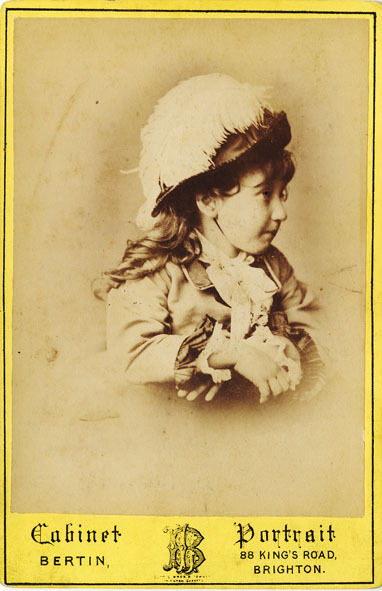 [ABOVE] A portrait of Little Louie Heriott - "The Marvel of Second Sight", a carte-de-visite photograph by Louis Bertin of 88 Kings Road, Brighton (c1880). The young clairvoyant and "mind reader" was later exposed as a fraud. Louis Bertin was well known for his celebrity cartes. Two are featured here - Millie and Christine McKoy, famous conjoined twins from America who toured England and Europe, and the young clairvoyant "Little Louie Heriott" - "The Marvel of Second Sight". 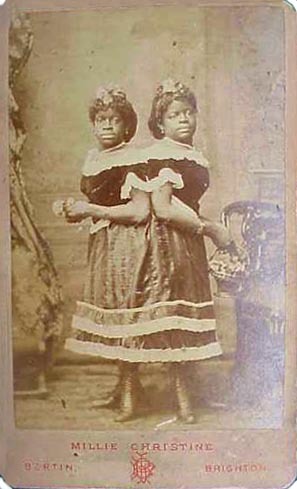 Millie and Christine McKoy (also known as McCoy or McKay) were conjoined twins who became famous celebrities during the second half of the nineteenth century. The McKoy twins were born into slavery in North Carolina on 11th July 1851 and were joined at the pelvis. From an early age, Millie and Christine were exhibited to the public in what were then known as "freak shows". At one stage, the twins were kidnapped and taken to England, where, in 1857, they were "rescued" by their former owner and eventually returned to their mother. As slaves, Millie and Christine were bought and sold several times as "exhibits". The twins were reported as being very intelligent and talented. They apparently spoke five languages, played a specially adapted piano, composed songs and poetry and were accomplished in singing and dancing. As the twins had musical talent, they were often billed as the "Two-Headed Nightingale". The McKoy twins toured Europe and the Northern states of America before returning to America's South to be reunited with their family. 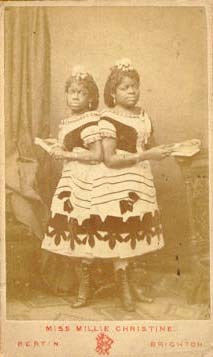 Still technically slaves, the McKoy twins were exhibited for years by their owner-manager. After the twins were eventually set free in 1863, they were able to earn enough money on the "freak show" circuit to become wealthy landowners. ( In middle-age, Millie and Christine were able to purchase the plantation on which they had been born ). The twins died in 1912. 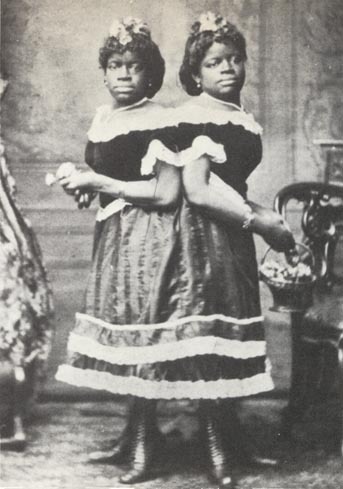 Monsieur Bertin's carte-de-visite portrait of the conjoined twins is entitled "Miss Millie Christine", as if Millie and Christine McKoy were a single entity. The twins were quoted as saying "Although we speak of ourselves in the plural, we feel as but one person". 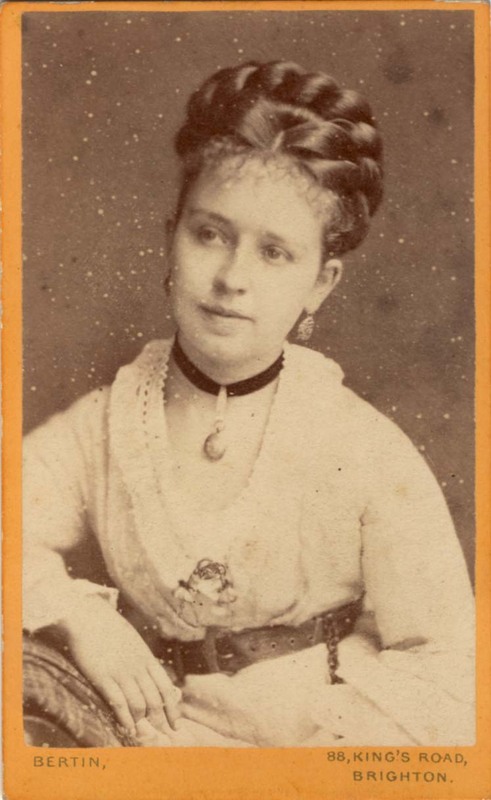 Miss Louie Heriott, nicknamed "The Marvel of Second Sight", was one of the best known clairvoyant performers in England during the late 1870s and early 1880s. "Little Louie" Heriott (also spelt Heriot or Herriot in contemporary accounts) toured England with her father "Professor" Heriott, giving demonstrations of her supposed wonderful powers of extra-sensory perception at a variety of London venues, including at least three separate appearances at the Westminster Aquarium. 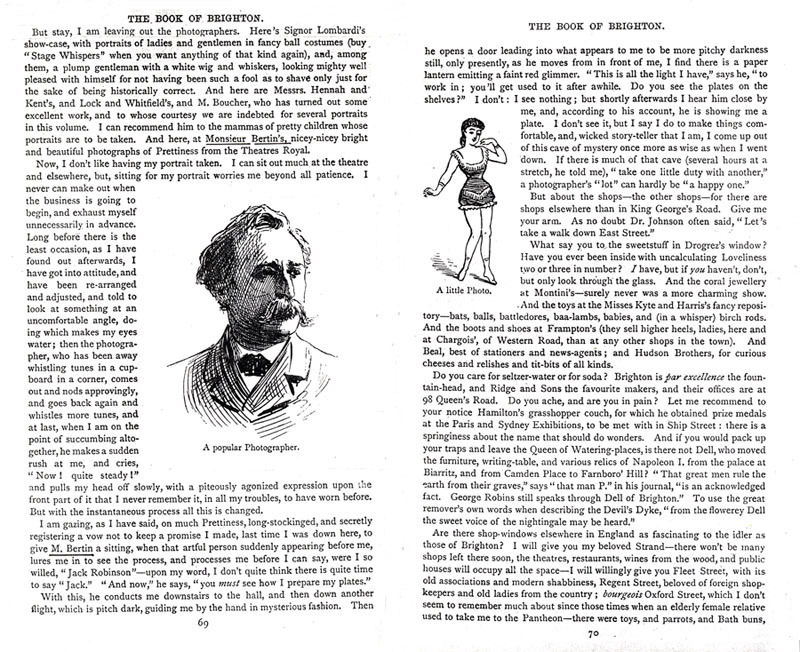 The Victorian journal "English Mechanic and World of Science" reported on 8th October 1880, that "Little Louie and her father performed at Brighton for some time and the Brightonians were troubled to account for her wonderfully prompt answers, especially those respecting figures, dates on coins, etc." Little Louie and her father were later exposed as frauds, when it was revealed that the young female "mind-reader" and "clairvoyant" was provided with clues hidden in the questions posed by her father. Professor Heriott was able to convey information to his daughter by cleverly phrased questions containing code words, indicating particular numbers or other pieces of factual information. Victorian audiences became more sceptical about demonstrations of "mind reading". William A. Hovey, in his book "Mind Reading and Beyond"(1885), observed : "anyone who has witnessed what can be done by a code of signals ... such as used by Herriot and his subject 'Little Louie', will naturally distrust all observations where two particular persons are necessary for the results obtained". [ABOVE] A portrait of the actor Leonard Boyne (c1850-1920), from "a Photograph by Bertin, King's Road, Brighton", published as a Woodburytype print around 1884. Leonard Boyne was born in Dublin, Ireland, around 1850. He made his first theatrical appearance in Liverpool in 1869 and by 1874 he was appearing on the London stage. At the time of the 1881 census, the thirty year old actor gave his occupation as "Comedian". A contemporary of Leonard Boyne noted that the actor excelled in playing characters that "intermingled humour and pathos." A drama critic of the time described Leonard Boyne as "somewhat weighty as a comedian, but a magnetic player and the finest stage lover of the younger generation." Another reviewer described Leonard Boyne as "an Irishman, who possesses all the traditional dash of his nation together with striking personal beauty and an unusual degree of magnetism". In the early 1890s, Leonard Boyne gained some fame by riding a racehorse live on stage in a production of the melodrama "The Prodigal Daughter". Leonard Boyne died in London on 17th April 1920. Louis Bertin had a strong association with the Theatre Royal, Brighton. Bertin was particularly well-known for his portraits of actors and actresses and so it is not surprising that he was recruited as the Theatre Royal's official photographer. 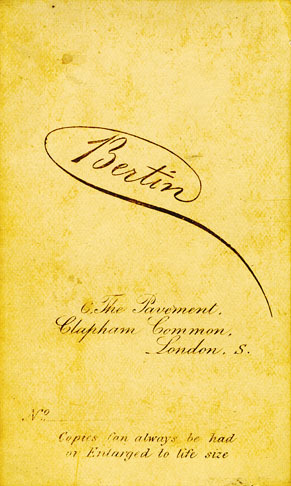 Publicity for Bertin's King's Road studio in 1879 mentions that Louis Bertin was "Photographer by Appointment to the Theatre Royal and Opera House". Louis Bertin is represented in London's National Portrait Gallery by 11 portraits and all are from the world of theatre - actors, actresses, theatre managers and a playwright (Andrew Halliday Duff). Actors and actresses captured by Bertin's camera include Leonard Boyne, Rose Coghlan, Thomas Thorne, Eliza Vezin, and Sir Charles Wyndham, the actor and theatre manager. Many of the actors were photographed in Bertin's studio wearing everyday, fashionable clothing, but several were photographed posed in costume in staged scenes from popular plays of the day. 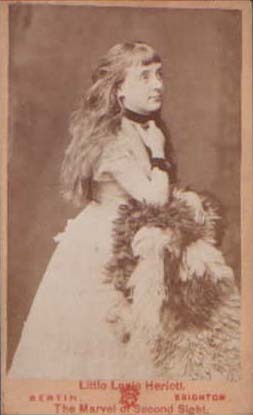 Photographs by Bertin which featured actors in well-known theatrical roles included Phoebe Carlo as 'Margery Daw' in "Jack and the Beanstalk" (1878), Henry Sinclair in "Streets of London" : cabinet photograph and Mademoiselle Beatrice (Marie Beatrice Binda) performing the role of Maria in "The Woman of the People" at the Olympic Theatre in 1878. Louis Bertin's portraits of actors and actresses were often produced as photographic prints called 'Woodburytypes' and issued as pictorial souvenirs with theatre magazines and programmes. 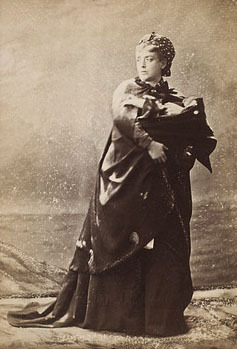 [ABOVE] A portrait of the Italian actress Marie Beatrice Binda (1839-1878) playing the role of Maria in the play "The Woman of the People". 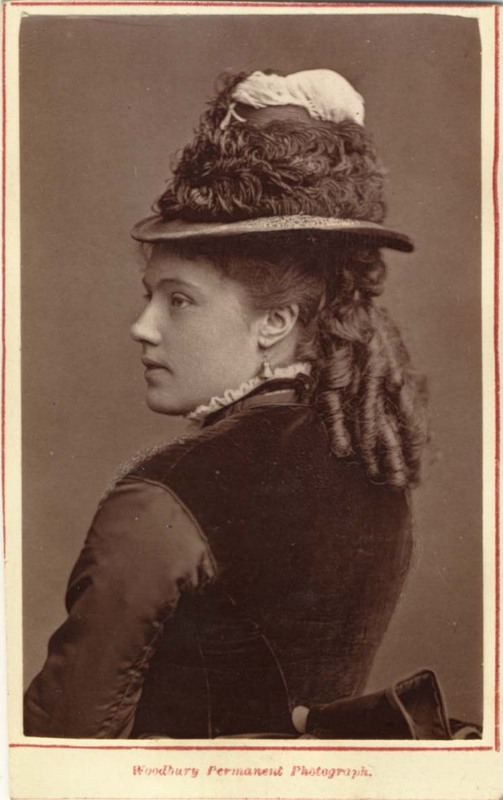 This photograph was taken by Louis Bertin of Brighton in 1878, a few months before the actress's death in London at the age of 39. 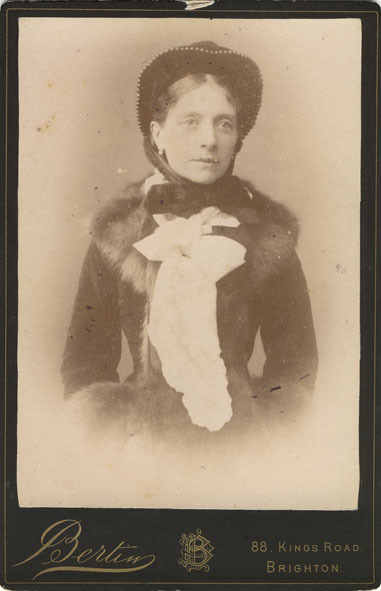 [ABOVE] A portrait of the actress Miss Rose Coghlan (1851-1932) "Photograph from life by L. Bertin, 88 King's Road, Brighton." 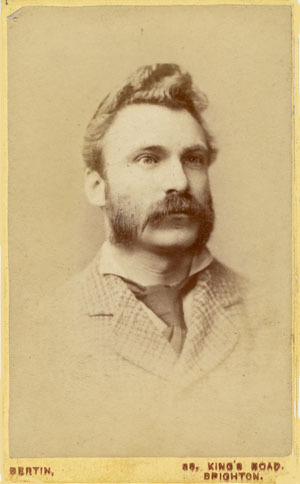 (c1876). A Woodbury Permanent Photograph featured in a 'Saturday Programme Supplement'. Rosamond Maria Coghlan was born on 18th March 1851 in Peterborough, Lincolnshire, the daughter of Francis and Anna Maria Coghlan. She made her theatrical debut in Scotland at the age of 14. 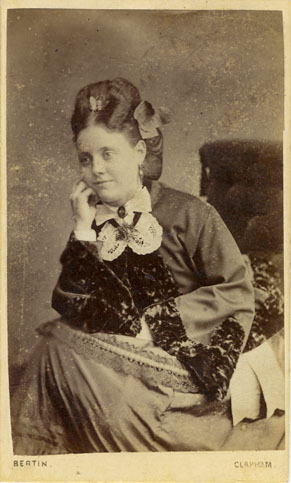 In 1869, Rose Coghlan made her first appearance on a London stage and over the next three years she featured in a number of plays staged in London. In 1872, Rosa Coghlan travelled to America, performing with a New York theatre company before returning to England in April 1873. Over the next four years, Rose Coghlan toured the provinces and took leading roles in London productions. It was during this period that Louis Bertin photographed Miss Coghlan. She returned to America in 1877, appearing in plays and vaudeville over the next 40 years. Rose Coghlan settled in the United States, marrying and divorcing two Americans - Clinton J. Edgerly, a Boston lawyer and John T. Sullivan, a Broadway actor. 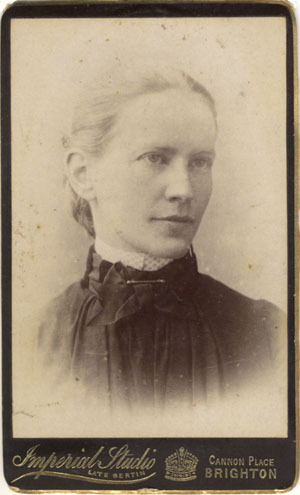 Miss Rose Coghlan became an American citizen in 1902. Rosa Coghlan died in Harrison, New York, in 1932 at the age of 80. Charles Wyndham (real name Charles Culverwell) was born in Liverpool on 23rd March 1837, the son of Jane Lloyd and Major Richard Culverwell. His father wanted his son to become a physician or surgeon although Charles was already showing an interest in the theatre. Charles Culverwell (Wyndham) studied medicine and surgery at the College of Surgeons and at the Peter Street Anatomical School, Dublin. In 1860, Charles Wyndham married Emma Silberrad (c1836-1916), the grand-daughter of Baron Silberrad, of Hesse-Darmstadt. When the 1861 census was taken, Charles Culverwell (Wyndham) was working as a "Medical Practitioner" in London. Although he had qualified as a medical doctor, Charles still had ambitions to be an actor. 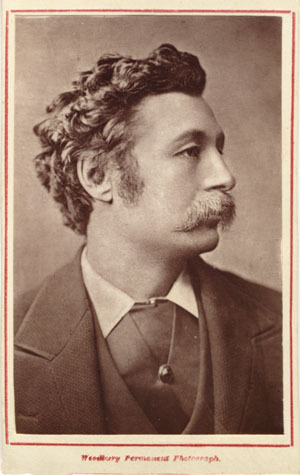 After performing in amateur theatricals, in 1862 Charles Wyndham appeared on the London stage as a professional actor at the Royalty Theatre. Charles Wyndham resumed his medical career when he travelled to North America to serve as a surgeon in the Union Army during the American Civil War. As a brigade surgeon, Charles Wyndham provided medical assistance at the bloody battles of Fredericksburg (1862), Chancellorsville (1863) and Gettysburg (1863). In November 1864, Charles Wyndham resigned from the Union Army to resume his theatrical career. Charles Wyndham returned to England and during the 1860s and 1870s, he played roles in popular melodramas and comedies in theatres across the British Isles, starring in Her Ladyship's Guardian (1865, Manchester & Dublin), All that Glitters is not Gold (1866, London) and Black-eyed Susan (1866, London). In 1869, Charles Wyndham returned to the United States to tour with his Wyndham Comedy Company, putting on performances of The School for Scandal, Caste, The Heir-at-Law, and Still Waters Run Deep. Charles Wyndham came back to England to promote the play Brighton. 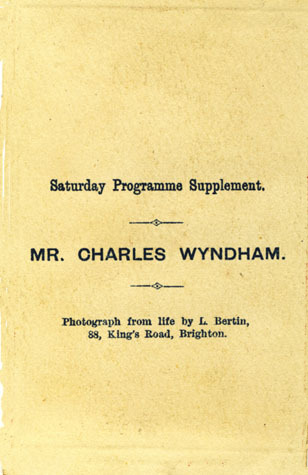 From 1875 until 1899, Charles Wyndham was a performer and stage manager at The Criterion Theatre. Over a 23 year reign at The Criterion Theatre, Wyndham put on a series of light comedies and farces, including Pink Dominoes and Betsy. In 1899, Charles Wyndham opened a new theatre called Wyndham�s Theatre in London's Charing Cross Road. Charles Wyndham was knighted in 1902. In March 1903, Sir Charles Wyndham's second West End theatre was opened as the New Theatre in St Martin's Lane. After the death of his first wife In 1916, Sir Charles Wyndham married the actress Mary Moore (1861-1931) the widow of the dramatist James Albery (1838-1889). Charles Wyndham died in London on 12th January 1919 at the age of 81. Louis Bertin was the official photographer to the Theatre Royal, Brighton in the 1870s and early 1880s. Originally opened in Brighton's New Road in 1807, the Theatre Royal was rebuilt in 1866 after its purchase by Henry John Nye Chart (1821-1892), an actor who had managed the theatre since 1854. When the photographer Louis Bertin arrived in Brighton around 1874, the Theatre Royal, Brighton, was under the management of Henry John Nye Chart and his actress wife Mrs Ellen Elizabeth Nye Chart (1841-1892). When Henry John Nye Chart died on 18th June 1876 at the age of 54, the ownership and management of the Theatre Royal passed to Ellen, Chart's thirty-five year old widow. Mrs Ellen Nye Chart proved to be an innovative and successful theatre manager and increased the popularity and profile of the Theatre Royal, making it one of the leading provincial theatres in the country. Mrs Nye Chart extended the theatre season to cover the whole year, introducing matinee performances and annual Christmas pantomimes. The most famous actors and actresses of the day (Henry Irving, Herbert Beerbohm Tree, Lily Langtry, etc.) were invited to perform at the Theatre Royal. As "Photographer by Appointment to the Theatre Royal and Opera House", Louis Bertin had the opportunity to photograph a range of actors, actresses, singers and performers. In addition to studio portraits of well-known actors, Bertin also photographed attractive young female performers dressed in relatively revealing costumes. The English writer and artist Charles Henry Ross (1842-1897) recalled viewing in 1881 the showcases of the photographers in Brighton's King's Road and mentions in particular "Monsieur Bertin's, nicey-nicey bright and beautiful photographs of Prettiness from the Theatres Royal", admitting "gazing ..on much Prettiness, long-stockinged". 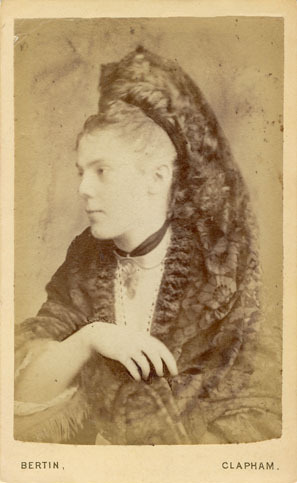 [ABOVE] A studio portrait of Mrs Ellen Elizabeth Nye Chart (1841-1892). A Woodburytype portrait of Mrs Ellen Elizabeth Nye Chart, taken from an original photograph by Louis Bertin of Brighton. Printed portraits made by the Woodburytype process (an early form of photo-mechanical printing) were widely circulated as theatrical souvenirs. [ABOVE] A portrait of Henry John Nye Chart (1821-1876), probably taken from an original studio portrait by Louis Bertin of Brighton (c1875). Henry John Nye Chart was born on 27th October 1821 in Westminster, London. Henry Nye Chart began his theatrical career as an actor, but in 1854 he took over the lease of the Theatre Royal, Brighton. After managing the Theatre Royal for 12 years, Henry Nye Chart purchased the freehold of the Brighton theatre in 1866. The following year, Henry Nye Chart married Ellen Elizabeth Rollason (born c1841, Islington, London). After Henry Nye Chart died on 18th June 1876 at the age of 54, the ownership and management of the Theatre Royal passed to his thirty-five year old widow, Mrs Ellen Elizabeth Nye Chart. [ABOVE] A portrait of Mrs Ellen Elizabeth Nye Chart (1841-1892), probably taken from an original studio portrait by Louis Bertin of Brighton (c1875). Born in Islington, London, around 1841, Ellen Elizabeth Rollason worked as an actress before marrying theatre manager Henry John Nye Chart in 1867. After the death of her husband in 1876, Mrs Ellen Nye Chart took over the management of Brighton's Theatre Royal. Mrs Chart ran the Theatre Royal successfully over a period of 15 years and became a very popular figure in the town of Brighton. Mrs Nye Chart fell ill early in 1891 and died during a stay in London on 23rd February 1892, aged 51. 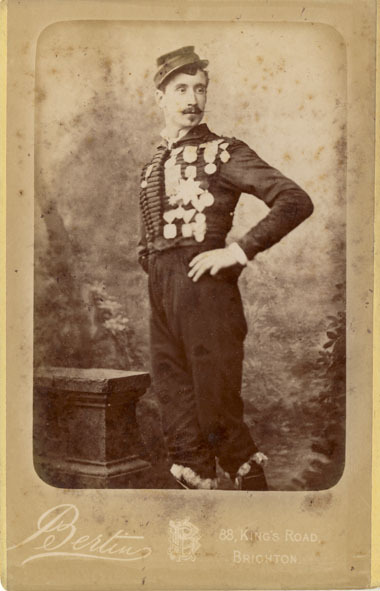 [ABOVE] A cabinet portrait of a young girl, photographed by Louis Bertin of 88 King's Road, Brighton (c1874) [ABOVE] A cabinet portrait of a Frenchman wearing an array of medals and decorations, produced by Louis Bertin of 88 King's Road, Brighton. [ABOVE] A cabinet portrait of an unknown woman by Bertin of 88 King's Road, Brighton (c1885). 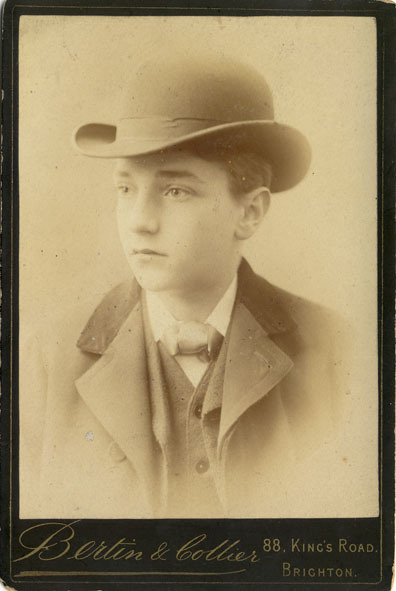 [ABOVE] A cabinet portrait of a youth wearing a Derby hat, photographed by Bertin & Collier of 88 King's Road, Brighton (c1884). 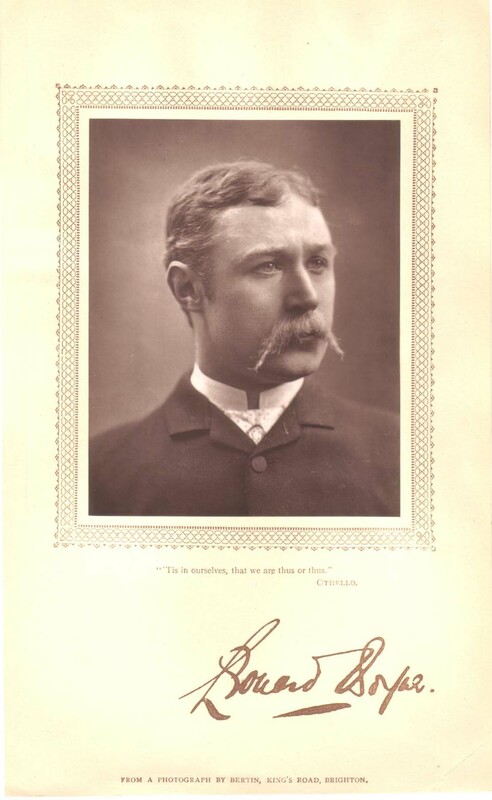 Louis Bertin entered into a business partnership with Alexander Collier around 1883. 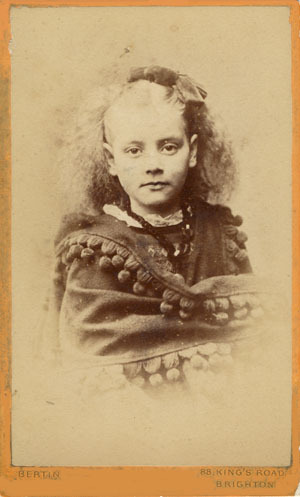 [ABOVE] A portrait of a girl with long hair, photographed by Bertin & Collier of 88 King's Road, Brighton (c1884). 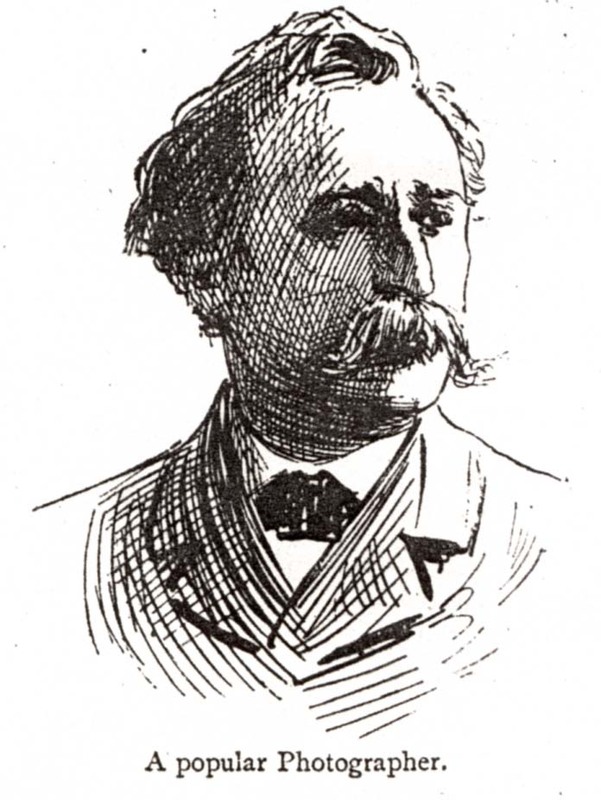 Louis Bertin entered into a business partnership with Alexander Collier around 1883. The Brighton photographer Louis Bertin had entered into a business partnership with the artist Alexander Collier before the end of 1883. Presumably, Bertin's new partner in the studio of Bertin & Collier was Alexander Collier (born 1845, Edinburgh), an artist who occasionally worked as a "Miniature Painter". Alexander Collier was born in Edinburgh on 13th February 1845, the son of Mary Robertson and William Collier, a commercial shipping clerk from Edinburgh. When the 1881 census was taken, Alexander Collier, an unmarried man of thirty-six, was living with his parents and three siblings at 46 Powell Road, London. Alexander Collier is recorded on the census return as an "Artist (Landscape Painter)". 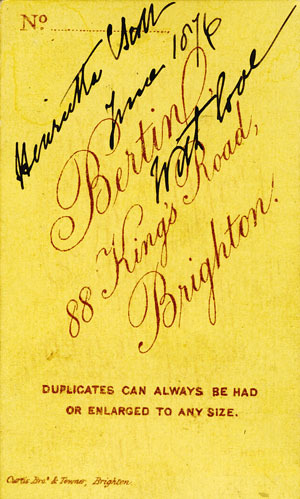 Two years later, Alexander Collier joined Louis Bertin at 88 Kings Road Brighton. 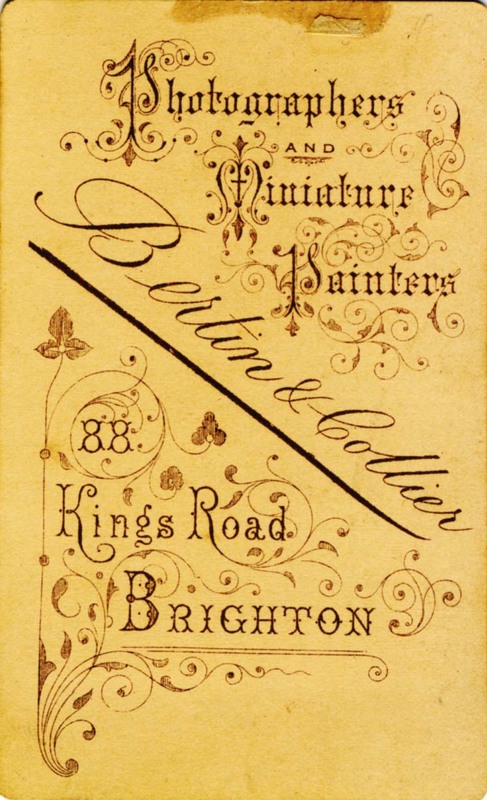 The publicity printed on the reverse of cartes-de-visite produced at Bertin's studio in King's Road between 1883 and 1884 describe Bertin & Collier as "Photographers and Miniature Painters". The partnership between Louis Bertin and Alexander Collier was dissolved on 26th January 1885. After the dissolution of his partnership with Louis Bertin in 1885, Alexander Collier tried to establish himself as a miniature painter in London. Algernon Graves' "Complete Dictionary of Contributors (to The Royal Academy)" lists Alexander Collier as a "Miniature Painter" at 128 Camden Street, N.W. London, in 1889. By the end of 1886, Louis Bertin was in financial difficulties. David Webb has discovered a County Court judgement, dated 10th December 1886, which shows Louis Bertin with debts totalling �22 18s 2d. 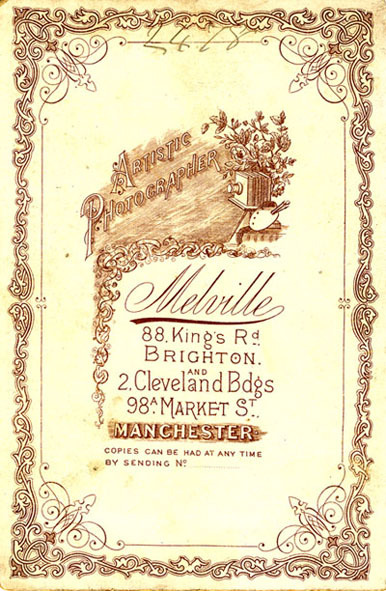 Early in 1887, Bertin vacated 88 Kings Road and the studio became the Brighton branch of the photography firm George C. Melville of Manchester. By the summer of 1887, the studio at 88 Kings Road, Brighton, had been acquired by Cellerier's Syndicate (Limited), later known as the Photographic Company Limited. Cellerier's Syndicate, headed by solicitor Edward William Parkes (1850-1923) had recently purchased Robert Vernon Heath's photography business in London and by July 1887, the firm had taken over Bertin's former studio at 88 Kings Road, Brighton. On 25th November 1887, Cellerier's Syndicate changed its name to the Photographic Company Limited, but the studio at 88 Kings Road did not carry this name for very long. 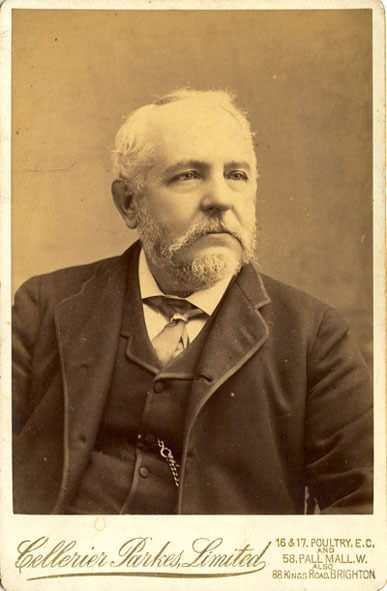 Edward William Parkes, the chief promoter of the Photographic Company Limited, was declared bankrupt in April 1888 and then jailed when a fraud involving his photographic company was discovered. Around 1889, the studio at 88 Kings Road, Brighton passed to photographer Edmund John Passingham (1841-1927). 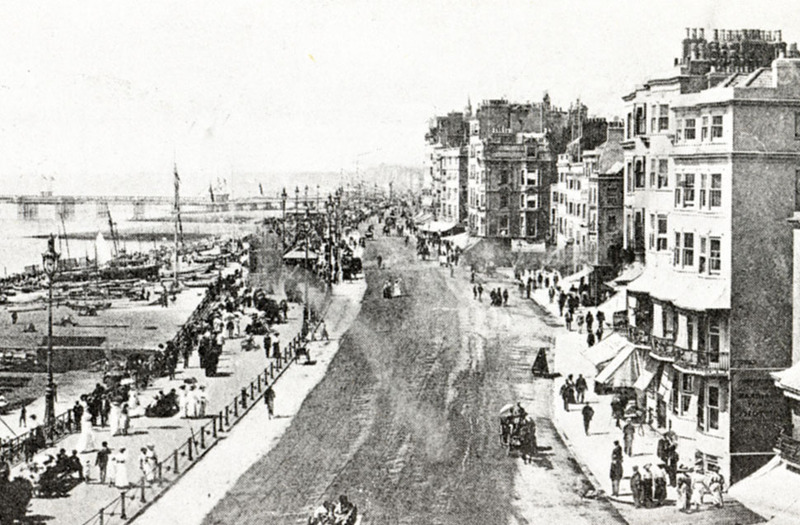 [ABOVE] A view of King's Road, Brighton, taken from a picture postcard published in the early 1900s. Louis Bertin's photographic studio at No. 88 King's Road was housed in the building at the centre of this picture. Bertin's studio was located on Brighton's seafront, between the Grand Hotel and the junction with Great Russell Street. [ABOVE] Details of George C. Melville's studios in Manchester and Brighton from the reverse of cabinet portrait produced at 88 King's Road, Brighton (c1887). George Clough Melville (c1840-1912) began his working life as an auctioneer, but by 1883 he had established a photographic studio in Market Street, Manchester. 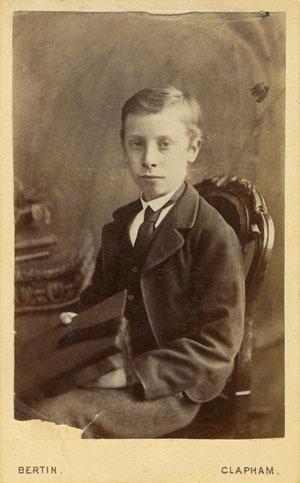 George Clough Melville operated six or more photographic studios in Manchester, [ABOVE] A cabinet portrait of a young man photographed at Melville's branch studio at 88 King's Road, Brighton (c1887). George Clough Melville (born c1840, Oswaldtwistle, Lancashire), who owned half a dozen photographic studios in Manchester, opened the studio at 98A Market Street, Manchester in 1886 and a branch studio in Brighton soon afterwards. [ABOVE] A cabinet portrait of a bearded man photographed at one of the studios owned by Cellerier Parkes Limited (c1887). Cellerier Parkes & Co. was a partnership between Louis Jacques Henri Cellerier, a French photographic chemist who had invented a process for photography in colour, and Edward William Parkes (born 1850, Wolverhampton), a London solicitor. Edward Parkes opened a branch studio at 88 King's Road, Brighton during the Summer of 1887. 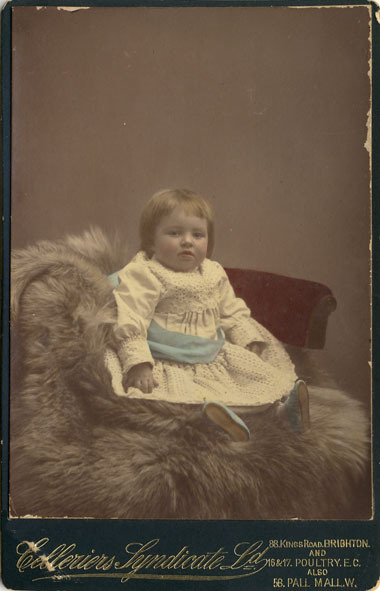 [ABOVE] A coloured cabinet portrait of a young child wearing a blue sash, photographed at Celleriers Syndicate's studio at 88 King's Road, Brighton (c1887). Celleriers Syndicate Limited opened their studio at 58 Pall Mall, West London in 1885 and a second studio at 16 & 17 Poultry, London, E. C. the following year. In July 1887 Celleriers Syndicate (Limited) opened a branch studio at 88 King's Road, Brighton for the "production of photographs in colour" (Brighton Herald, 16th July 1887). 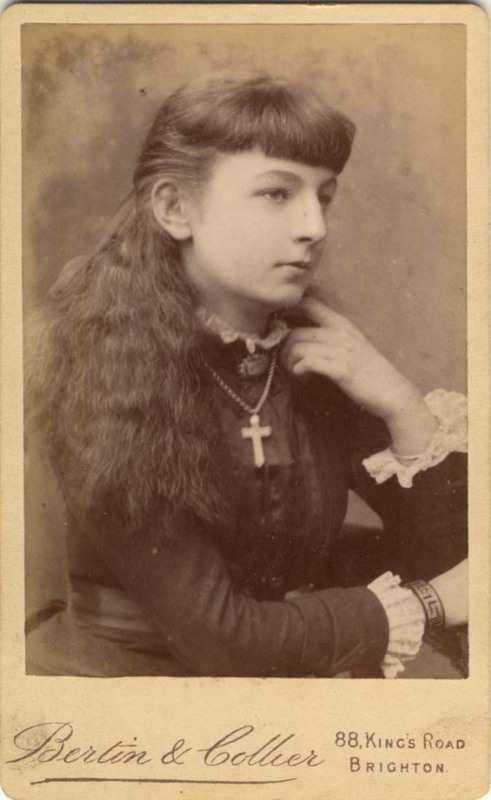 [ABOVE] Portrait of a young woman, a carte-de-visite from the Imperial Studio of Cannon Place, Brighton (c1889) The photographer's trade plate reads "Late Bertin", which suggests this photograph was taken when the studio was owned by Madame Rivers. 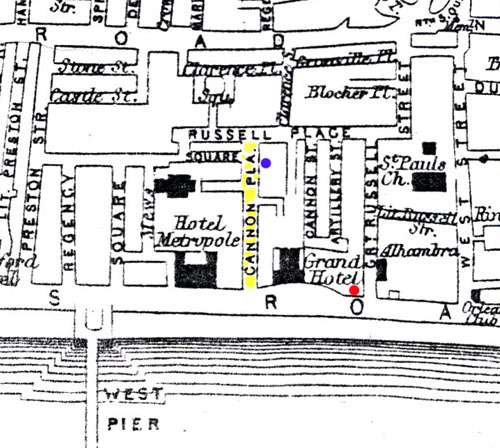 [ABOVE] A late Victorian map showing the location of the Imperial Studio at 42a Cannon Place, Brighton (marked by a blue dot). The photographic studio at 42a Cannon Place, Brighton was previously owned by Miss Marie Bertin. By 1889, the photographic studio at 42a Cannon Place had passed to a lady photographer named Madame Rivers. 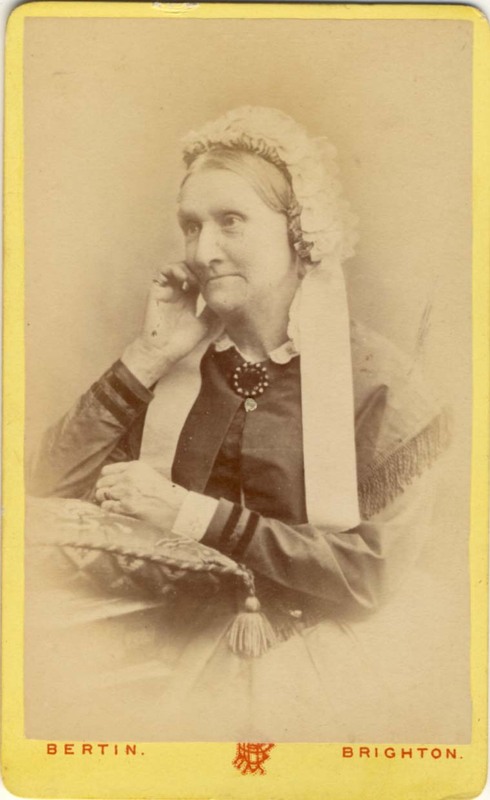 After less than a year, Madame Rivers sold the studio to the well-known photographer John Jabez Edwin Mayall (1813-1901) who had been operating a photographic studio at 90-91 King's Road, Brighton, since 1864.